Pia Silva thrives on breaking from convention. Her unique philosophies on branding have helped everyone from small enterprises and solopreneurs to industry giants MTV and Six Flags jumpstart their businesses. She’s also a regular contributor for Forbes, and her debut book Badass Your Brand hits the bookshelves this week. Today Pia breaks down her unusual methodology for building a booming business. She also gives us the inside scoop on her book, explores what it means to be your brand, and reveals why the greatest relationships stem from an exchange of ideas instead of business cards. 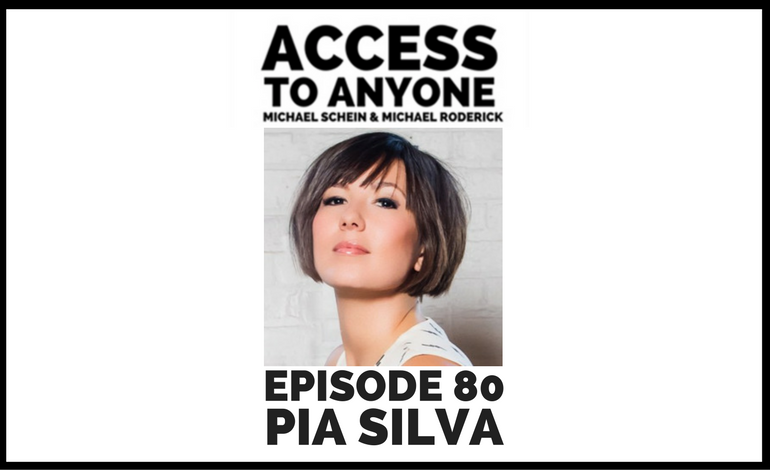 Entrepreneur, speaker and writer Pia Silva is a partner and brand strategist at Worstofall Design where they build Badass Brands without the BS  for 1-3 person service businesses in 1-3 day intensives. She is a Forbes contributor and has spoken at a host of entrepreneurial organizations including Goldman Sach’s 10,000 small businesses, The Chamber of Commerce, Squarespace, and We Work. Her company was named top “10 Design Firms Lead By Young People That Are Changing the Way We Look at the World” by Complex.